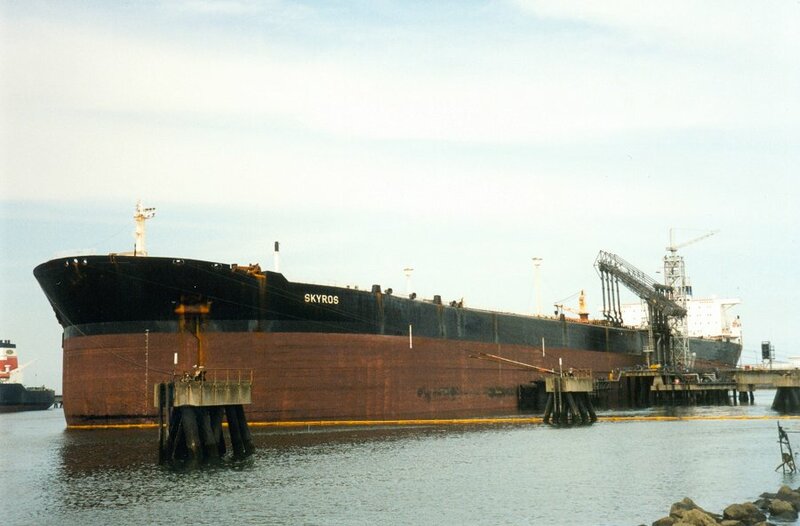 "Skyros", discharing at Maasvlakte Oil Terminal on July 6th, 1999. Eriksbergs MV / Forepart by Setenave, Setubal, #c101 in 02.1976. 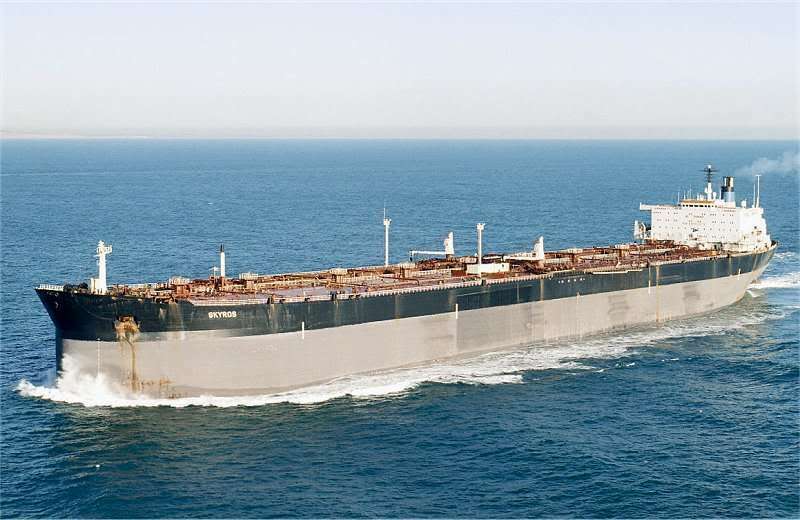 1986 BT INVESTOR - Bulk Tpt Sg Ltd.
1989 ABU RASHA - ABT Intnl Ltd.
1990 ABT RASHA - Comatra Ltd.
1992 SKYROS - Skyros Maritime Inc.